Both of these amplifiers arrive in an almost identical chassis, giving the pair a distinct ‘family’ resemblance that will allow both to easily fit into a living room environment. Both arrive with MusicCast Wi-Fi streaming as standard and come with a 48bit digital volume control. Both can also be mounted vertically to further minimise the overall footprint. They also support AirPlay and, where available, Spotify, Napster, Sirius XM, Juke and Pandora as well as DSD 5.6MHz and FLAC/WAV/ AIFF 24bit/192kHz. Finally, they both span 215 x 51.5 x 245.9mm. The first of the two amp boxes, the WXC-50 pre-amplifier. You can also turn off the Pre-amp mode and use the device as a simple network audio player. This box weighs 1.44kg. The 70W WXA-50 weighs in at 1.94kg. Check out the accompanying images to see a rundown of controls, sockets et al. The aerial is the home of the screw-in, multi-position, Wi-Fi aerial. To play the USB stick of digital files, I decided to download and install the associated and in-house developed MusicCast app on my iPhone 6S. USB file control was a lot friendlier via the app than punching buttons on a chassis and hoping for the best. Download and software installation was easy but the final set-up was overly difficult. It took me around 20 minutes when it really should have taken me, what, three? MusicCast is not a Bluetooth system but utilises a Wi-Fi connection. To install it, you press the Connect button on the front of either chassis for five seconds until the adjacent connection light flashes. Then you open the app itself and follow the onscreen prompts which involves bouncing between it and the phone’s Wi-Fi Settings screen. In that Settings screen, you wait for the MusicCast option to appear as one of the choices within the available local Wi-Fi connections list. Well it did, eventually. Nothing was seen until my third try but I finally connected without a problem once it made an appearance. Back to the app but my trial was not yet over. The app failed to complete the install sequence another three times but I got there at the fourth attempt. Why these issues occurred can only be conjecture. Was it down to my phone? Was it Yamaha’s fault? Was it something to do with my Wi-Fi signal? Was it something else? I can only say that no other, non-Yamaha, device had issues in my listening room or anywhere else in the building at this time. Nevertheless, once connected and installed, the app worked flawlessly. It showed the song title, sleeve art (not for WAV rips though), CD-type music controls plus EQ controls. My only gripe is that I would have like to have seen a report on the quality of the file type being played. For example, when playing the jazz piece, St. Thomas from Sonny Rollins, this is a 24bit/96kHz file but this information was never revealed by the app. I wish I could have seen that information on the app screen. I don’t mind the lifestyle facade that Yamaha is trying to promote here. I can even live with the irritatingly Apple-like paternalistic ‘we’ve-decided-that-you-don’t-need-the-information-so-we-won’t-give-it-to-you’, non-techie approach to the app but it would have been nice to have found the said figures buried somewhere, for those who really want it. 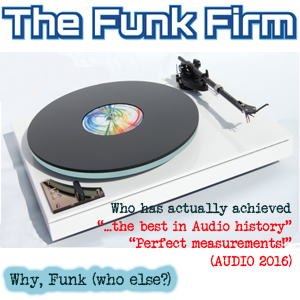 I began the sound tests playing a the CD version of Earth, Wind & Fire’s Let’s Groove. This group was a busy outfit on stage and within their arrangements. There is plenty going on here and it takes quite an amplifier to sort everything out. Even behind the conglomeration of the principle voices and instruments, there are plenty of subtle and tiny effects that pop up here and there. Have you ever seen those word association tests that psychologists use to diagnose the mental state of a patient? You say ‘good’, I say bad. You say ‘black’, I say ‘white’, you say ‘The Himalayas’, I say ‘Marilyn Monroe’. You know the sort of thing. Well, if you said, ‘bass’, I would say ‘Yamaha’. Such is the company’s reputation and concentrated effort to effect a low frequency-based personality. If any knows how to ‘do’ bass, Yamaha’s yer man. Through the WXA-50, I was most impressed by that signature Yamaha bass. Impressed, not because there was a lot if it – there was – but because of how the bass power was integrated within the soundstage. The amount of focus placed upon the bass gave it a sharp, short, ‘bam!’ of an arrival. The punch was in then out in a jiffy, giving the bass a tremendous transient speed and response that provided drive to the entire track. The tightness of the bass was allied to its careful positioning in the soundstage. There was no hint of blooming or any threat of it infecting the midrange. This meant that secondary percussion, such as wooden block strikes, on the track My Love from the same group, where not only recognisable but also integrated their own reverb tails. Any bass smearing at all would have veiled such delicacies. Midrange was incisive, for the price, digging out all of those little sound effects that I mentioned above, allowing the ear to seek them out without too much trouble. Yes, there was a slight spotlight shining on the upper mids during vocal crescendos but mainly at high volumes. It wasn’t a big problem, though. For the most part, I enjoyed the tremendous clarity that the midrange afforded and, for the price, the detail that it presented. Turning to Sonny Rollins and his track, St. Thomas running via the USB port from a USB stick at 24bit/96kHz and controlled via the MusicCast app, I was impressed by the midrange insight that, for the price, provided space and air for the complex percussive sequences on this track. Drums were punchy but also characterful, tracking the complexity of the different drums well while cymbals strikes were relatively fragile, despite that slight spotlight giving the treble a tad of stridency at high volumes. Again, though, I saw this effect mostly at higher volumes and considering the price tag it was not a great problem. Finally, I turned to Bluetooth and Marvin Gaye’s Mercy Mercy Me played as a MP3. Yamaha has implemented MP3 streaming well and the processing produced a pleasant and, considering the poor quality of the inherent file type, relatively sweet presentation that never grated or hurt the ears. 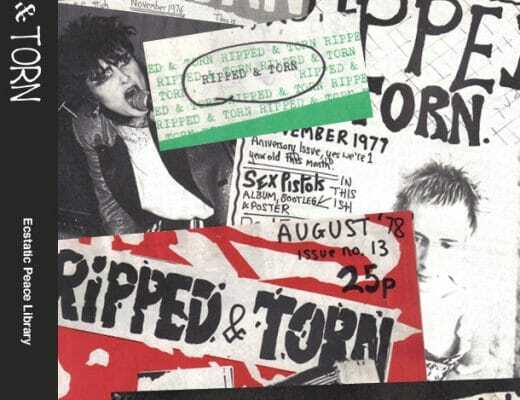 Vocals were comparatively well rounded, avoiding the thin and edgy sound from other, less well realised, hardware. Next up was the preamp, the WXC-50. For this test, I turned to ‘old technology’ and a pair of Class A power mono blocks. 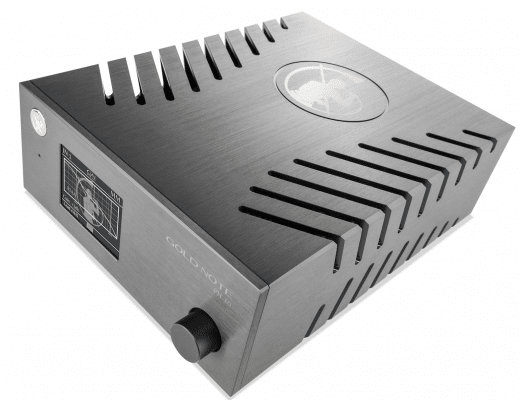 The small in stature but wholly meaty Valvet Classe-A Mono-amps A1r, to be precise. I’ve always enjoyed their open-ended and focused output and they have been used when shelf space has been lacking. As such, they pair up very well with the similarly low footprint WXC-50. Hooking up is easy with the A1r mono blocks sliding into the Pre Out sockets at the rear of the Yamaha chassis. 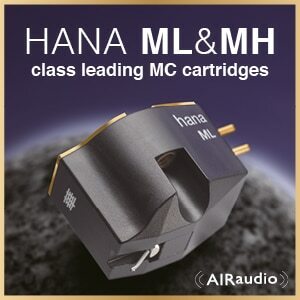 The reason for connecting the A1r blocks was to show that the Yamaha can connect to older hardware or hardware lacking in modern connective facilities. The thought of using the A1rs with a USB source and as part of a streaming set-up was an intriguing one. I began with a slightly more traditional source, CD and back to Earth, Wind & Fire. The combination of the dynamic and high energy track, Let’s Groove, the bass rich Yamaha and the punchy A1r produced the sort of low end that can punch through brick walls and keep on going further than Godzilla in a bad mood. That, of course, is another benefit of the Yamaha preamp, you can tailor its musical personality, depending on what you connect to it. Yes, that slightly strident edge to the app mids was evident at higher volumes and during crescendos but, once more, at normal volumes it was no great concern. Generally speaking, mids were insightful, detailed and with a slightly clinical edge that enabled the WXC-50 to dig deep into the mix to extract even the most subtle and shy of effects that often resided within the complex arrangement of this song. 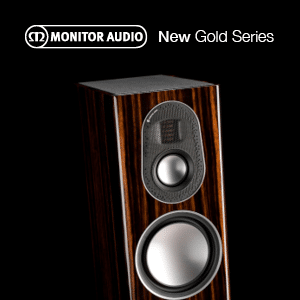 Solid state fans will adore the sound from the Yamaha, which could easily become a dictator of a small, wayward country, such is the measure of strength, power and no compromise approach it has to sound. Turning to the USB port and Sonny Rollin’s higher resolution source via St. Thomas, the Yamaha successfully fed a relatively open and spacious signal, for the price, to the monoblocks. The result combined an energetic yet detailed output that was full of texture and character, especially from the Rollins saxophone while the percussion produced a musical and dynamic presentation, brimming with energy and motive power. Piano was a little strident at times but that was of no real surprise at this price point. The piano has to be the most difficult of instruments to control for any budget component and the Yamaha made a good fist of the chaotic and disorderly frequencies from it. Finally, taking advantage of MusicCast and streaming Marvin Gaye’s Mercy Mercy Me from iPhone 6S I was once again impressed as to how the Yamaha delivered the low quality MP3 to the ear. That is, in a relatively mature, dignified and listenable manner. Tonal balance was pretty good for a MP3 while Gaye’s delivery was smooth and easy on the ear. Both units offer an attractively small footprint that bodes well, obviously, if you are bereft of desk and shelf space. The little integrated amp offers just enough connections to satisfy most music fans. 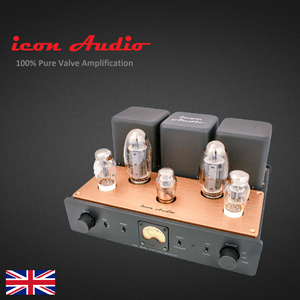 This little amp also offers a big sound: powerful and detailed for the low price it demands. Excellent value. 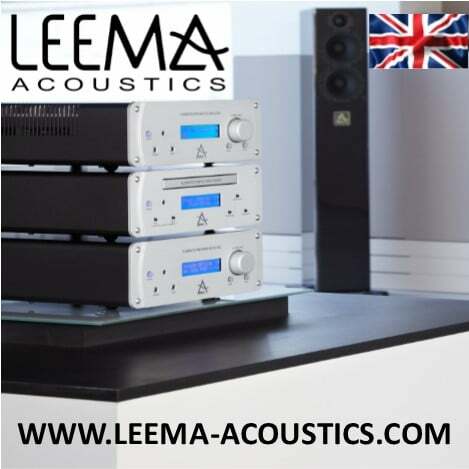 The preamp, meanwhile provides a goodly selection of features that is ideal to upgrade older technology or extend the facilities of a hi-fi system lacking in certain areas. To watch of video of both units in action, click HERE. 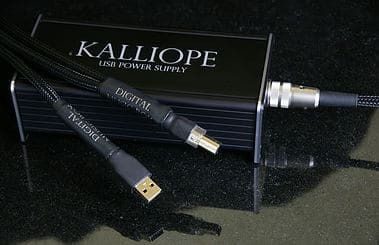 Digital Music Box Kalliope powered USB unit: Should You Kalliope? The Yamaha WXC-50 does indeed display the bit rate and file type of music being played. It’s on the EQ settings menu, under Audio Information tab. I’ve had the unit since the first batch were delivered and it’s always been there. Otherwise a great review. Is that on an Android phone Paul? Yes indeed it is. I agree that had that file information not been available to me I wouldn’t have been impressed. Thank you for the review, I’ve been looking out for a while for a quality write up. Ah, I tested using an iPhone which failed to feature that information. Hence my criticisms. 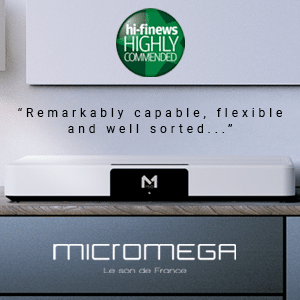 Really enjoined the review, but feel that it needed context, like how it compares to something at the same price point like the best sellers Marantz MCR511/611? Thanks Soz, sorry I just didn’t have access to the Marantz kit at that time. Hope you got enough information from the review to help, though. Paul, I enjoyed reading your review of the Yamaha amp and preamp. I am considering the pre amp with a set of Paradigm shift A2 powered speakers. I found your review very helpful. I am not too computer savy and I have a Mac computer in the next room to where the preamp will go and was wondering which would be the best input to use for a wired connection between the two. Hi Mike – a safe connection between the Pre and Mac is the USB ports of both. 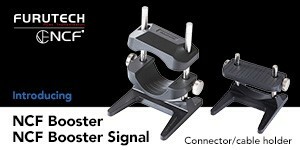 They are easy to connect, cables are relatively easy to source and the resolution always has the potential to reach the maximum available potential. I just bought a Yamaha WXC and I use it as preamp paired to a Musical Fidelity M1 PWR power amp. Would I get better sound to use the Yamaha WXC just as a streamer connected to an integrated amp like the Rega Brio? You can certainly do that, yes. And the Brio is a fine sounding amp, I recommend it. On the back of the Yamaha there’s a player/pre switch. If you switch it to ‘player’ then the WXC50 will just send line level output from the pre-outs and the Rega amplifier can control the volume. You could also use the AUX BUS outputs but you’ll get a better sound quality from the pre-outs. Hi Paul, good in depth detailed review with attention to detail like it. I currently own a Cambridge CXA60 DAC, a Cambridge Audi BT100 Bluetooth aptX receiver, Samsung BDJ7500 Blue – Ray (my fill in CD player for now) & a pair of Bowers & Wilkins 365 S1 speakers on stands. 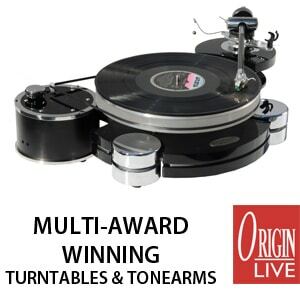 In the very near future are a Rega Planar 2 and a Cambridge Audio CP2 Phono / pre amp. So I’m covering phono nicely (I hope?) and currently streaming music from Spotify Premium over aptX to aptX Bluetooth via simple hand held android. My question is I wish to play wired or over the internet high-res music. This led me onto Tidal / Qobuz with the Qobuz “Sublime” service winning my vote at the minute (not yet subscribed). 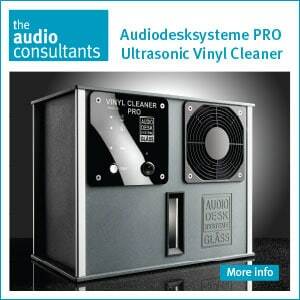 with 16bit / 44.1kHz throughout the catalogue and 30-60% reduction on buying high-res 24bit / up to and including 192kHz. So I pay my £219.99 annual subscription but then I need to be able to play music at such high-res. Bluetooth is now out of the question. My CXA60 has a usb port to accept BT100 but isn’t a true USB standard port (unlike the CXA80’s). I’ve pasted a link of the back of the CXA60 for clarity below. I am told Qobuz compatible hardware is limited but the Yamaha WXC-50 is (and possibly the Oppo Sonica DAC [but I already own a DAC]). So do I purchase the WXC-50 (and have a multi-room benefit too) or can I somehow get a small laptop to link up (via USB) to my CXA60 direct (but recall my CXA60 doesn’t have true USB). Finally (hope I’m not boring people here!) will the WXC-50 act as a phono amp for my turntable too, instead of the Cambridge Audio CP2 or are 2 seperate pre-amps better? Alternatively is there a whole different direction I should take to streaming high-res music that I haven’t even contemplated? 1: A separate phono amp is ALWAYS better than a built in example. Stick with the CP2 on that score and use it even if you buy the Yamaha. 2: You may not have the choice but, if you do, do not use a computer as a digital source. It is a *computer*, it is busy doing computer-type things all of the time and it doesn’t know how to produce a good quality digital signal. Laptop sources introduce lots of noise because of this. The only decent laptop source is a dedicated unit with software in it that literally shuts down 90% of Windows to act as a music manager only. For Windows? Something like JRiver, Audirvana for the Mac. 3: Get a dedicated CD player ASAP. Even better? use a dedicated solid state music player. 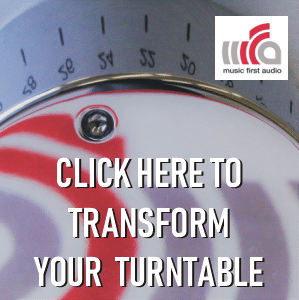 Rip your CDs to that laptop of yours using a quality ripper (i.e. dBpoweramp) to a lossless format, connect the music player to your hi-fi and let that be your ‘CD player’. This arrangement will be far, far better than a budget CD player or your Samsung (next to no jitter, you see from all of those moving parts). Plus, you’ve got yourself a mobile player as a bonus. 4: Yes, hi-res files should be played wired only. Wireless will cripple any hires benefits. Wireless is only good for lossy files. 5: The Yamaha would provide plenty of networking benefits, that’s true and is certainly a good option for you. 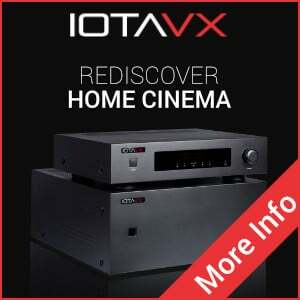 Hi There, Just need to ask a simple thing as i am considering to get wxc-50- Pre Amplifier , If i plug in a optical input and connect a optical out to other player and simultaneously if i connect a subwoofer to the subwoofer out of wxc 50 pre amp unit, will the subwoofer and the optical output work simultaneously ..Like i just need to use subwoofer out and optical out of this pre amp together nothing else .. I may sound like a dumb but 300 pounds man, come on ..pls help me if u can. 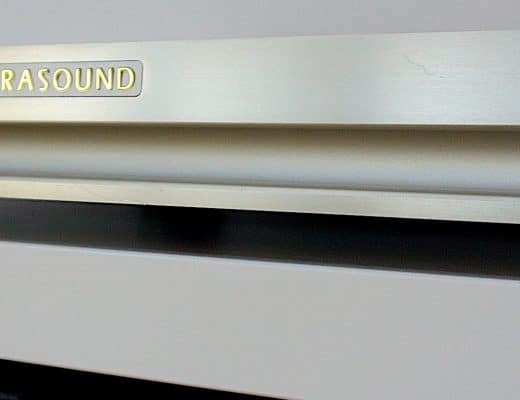 If you connect a sub woofer then you’re doing nothing else but connecting a speaker, a powered speaker yes, but a speaker nonetheless. Plugging in an optical – which presumably will head straight for a music player or some other source? That’s a different thing and the Pre sees it as such so there will be no clash. Finally, there’s no such thing as a dumb question – at least not here. So don’t be afraid of asking. Hi Clark – so the aim of this would be too access the new Tidal update for the WDC-50? Is this a TV-centric system? Are you looking to achieve anything else? Hi Paul. Sorry if that was a bit obscure. I would agree that it’s a TV centric system as we use the AppleTV and Blu-ray units to view all things video. One example of my dilemma is that the Gen 4 Apple TV is linked to the Sony 65″ TV via HDMI; the Sony then sends the audio only via its optical out to our Yamaha amp, the RCA pre-outs from the amplifier to the KEF’s. Seems I’m stepping down from the best possible cable (HDMI) to the RCA analog cables to feed the KEF’s, which I purchased to be the strongest part of my system, not the weakest. They’ve inspired us to just listen to music a lot more, too, because they sould amazing. Hi Clark – I wondered if you had considered simplifying the system and plugging the KEFs directly into the TV via the optical on the KEFs. Take the old Yamaha out of the chain to purify the chain then connect a Tidal-ready device directly into the KEFs but leave it out of the TV loop. Doing it this way would give you shorter and more direct links from each source, hopefully enhancing sound quality. -when streaming via USB : does the wxc50 support a usb-portable harddisk instead of a memory stick ? -can i empty the current playlist ? -> i do ask this because my experience is that this is not possible with spotify-app on an IPAD, only possible with spotify-app on an iphone/android phone !! I’ve asked Yamaha to respond to this one – bit of a delay because they’re preparing for a range of hi-fi shows. Will get back to you ASAP. Hi Paul, Nice review. Here is my question. Do you see the preamp in the Yamaha as a higher end product that should improve markedly on an existing system vs buying a free standing audiophile preamp (say a Parasound P5). Presently using a Logitech Squeezebox for internet radio/streaming running through an Acurus R11 preamp to a McIntosh MC250 power amp (rebuilt and upgraded unit). The signal from the Logitech goes via video cable to a Cambridge Audio 740C for use of the DAC then into the Acurus. I have been told the Acurus is probably the weak link in the chain as a 20+ year old preamp without any updating and no functional remote. Hi Wade – well, the P5 is a lot more expensive than the Yamaha and is expected to be superior on that basis alone (it is). The P5 would be recommended if your budget will stretch. Hi Paul, thank you a lot for the reviews! 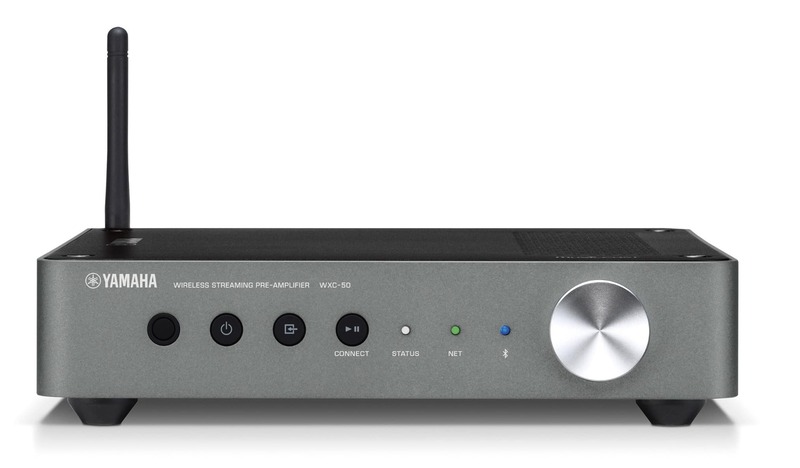 I’m looking for a preamp like the wxc-50 that can do anything and connect directly to a power amplifier, so i would ask if you know some alternatives for other pre/dac/streamer, maybe with better quality… Sorry for my English, all the best! Can you be a bit more specific? I assume that the Yamaha is not what you’re looking after? Why not? What are your requirements and budget? What sort of budget are you looking at Lorenzo? Cambridge DacMagic Plus – £350. You can add a streaming module to the back. Yeah Paul, very nice idea, like a CXN or a 851N, but there are only one last problem, they have no analogue inputs, and I have a turnable to connect. I’m on the move and so can’t check but, from memory, isn’t there a pair of unbalanced outputs on the rear, to the left? 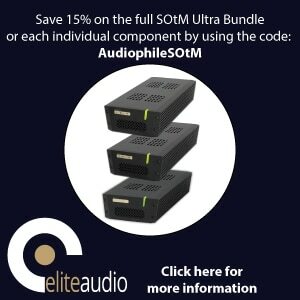 To plug in a phono amp? Failing that, at this price, I’m scratching my head to think of one. It’s the streaming inclusion that I find difficult, at this price. I can think of a Auralic Altair but that is around £1,700. I think the same, is very hard to find one! So is hard to find Dac/Preamp with analogue inputs, under 1000 £ I think that there is just the Teac UD-503, do you know some other rivals cheaper? The Lead Audio Northern Fidelity? €700 I think. Nice idea! It’s the first that i ear about it…it seems hard to find but i will try! Thanks a lot! Great review. I’m trying to set up a multi-source to multi-zone configuration, and thinking about one WXA-50 for each zone, with unpowered ceiling speakers in each zone wired to a central closet where the WXA-50s would be located. It seems the WXA-50 is nearly the perfect (and one of the only solutions) I found that can do what I want, BUT… it seems that the WXA-50 multicast system currently doesn’t support Apple Music natively as it does for Spotify, Pandora and others. From what I understand, the system does support Airplay but the app can’t handle multi-zone/multi-source in airplay mode. Wanted to mention this here so others are aware. 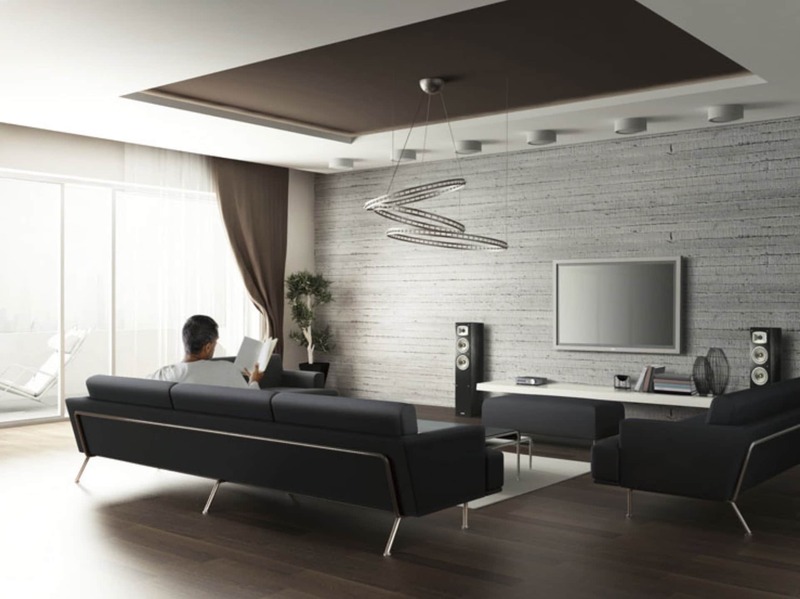 Paul – do you know of another system for multi-zone/multi-source config with wired ceiling speakers? the only one i’ve found is airhome.io, but it’s only in US and I am in Europe. Thanks for sharing your findings, Lee. Appreciate it. Re your question, what sort of budget are you looking at? An external hard drive (or USB stick) should be no problem, Marcelo – formatted to FAT32. Can I connect the Wxc50 to my Adcom GFA 545 mk2 power amp ? 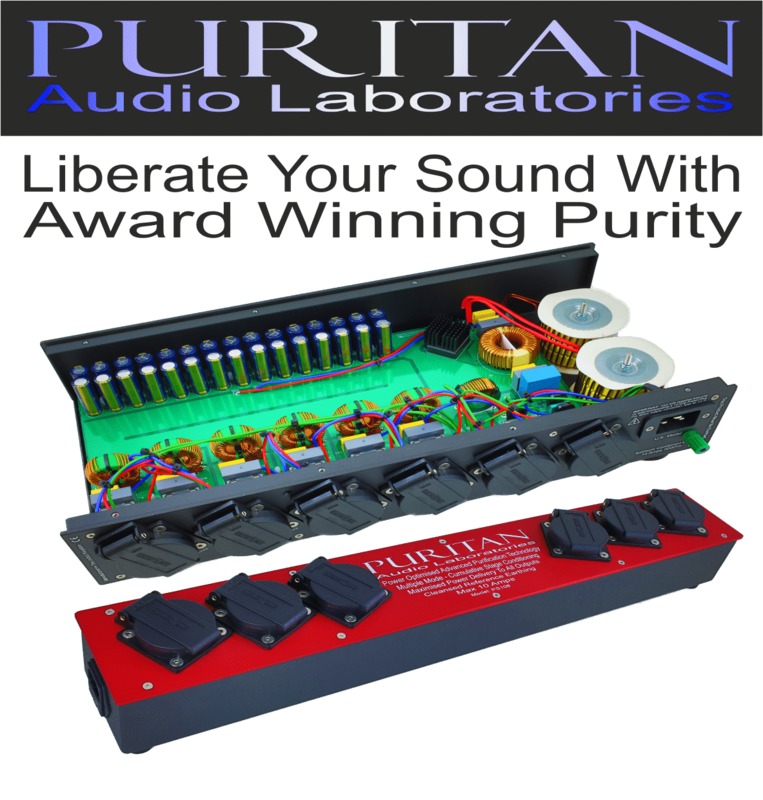 Hi Ran – yes but I would probably go for a better pre to get the best out of the power amp. I’ve read in some site one guy wrote that wxc50 is the best source, so i would like to believe it true. That’s a bit of an open-ended statement Ran. It depends on the budget, your specific requirements, etc. If you need more guidance in this way, please shout and I’ll try to help. OK, let’s check a few basics first: Can you go through the input and output cable connections again? Actually take them out, think about the path and then put them in again. It’s worked for me in the past because sometimes I assume too much and stop thinking. Is each cable connected properly? Is another input source selected? Is the volume at the minimum or – and this has happened to me before – muted? Is the source file PCM? Have you tried a basic chain like running a CD player through your system? Something physical. Before we get to digital shenanigans. Also, is the Yamaha in Player or Pre-Amp mode? Can that be the issue? Hi Paul, thank you for the great review. I happen to have a wxc-50, a pair of B&W 601 S3, a B&W LCR60 S3, a pair of B&W CWM 200, a Boston PV500 sub and two Yamaha wx030 wireless speakers. I don’t have a receiver amplifier yet. I am planning to buy a Rotel rsx 1550. My idea is to make a setup with the Rotel, the B&W’s and the sub in the home theater; and the wx30 playing stereo in other room of the house. I was planning to use the wxc 50 to connect the Rotel to the Musiccast environment. Is it going to work? What’s the best way to connect all that together? I am also thinking in not to hook the surrounds speakers. Is it ok? How should I set the amp for that situation? Thx for your attention. The Rotel is a 7.1 system so a wide variety of speaker set-up configurations should be possible. I’m not too familiar with the Rotel – this is a relatively old model, I think it came out in 2009 – but I don’t think it offers Bluetooth and doesn’t offer MusicCast support. Have you considered a more recent Yamaha model which does support both standards? It might make things easier for you. From memory – my Yamaha is back at Yamaha now: you can stream music over Yamaha’s own MusicCast network (using your Wi-Fi network). You can send music from a Bluetooth source to the WX-030 too (the Rotel has neither of these – I’m pretty sure there’s no Bluetooth on it). MusicCast can send and receive Bluetooth signals to other MusicCast hardware. A MusicCast box can also stream music to another Bluetooth speakers or to Bluetooth headphones. I hope that’s all the variations. Is this Rotel something you can purchase cheaply? What is your budget? Audio information (track file info) has been available for a long time – both on iOS and Android. To access the option when playing a track, the ‘fader’ icon is to the right of the volume slider. Press this, at the bottom you’ll find the option to turn on ‘Audio information’. I’ve used Android 4.4.4 and all variants of MusicCast on iOS since its inception and I don’t remember the app. not offering this feature. Also, I wouldn’t recommend people use large HDD’s as the power supply of the WXC50 / WXA50 doesn’t send enough juice to the USB port to spin up the drive. If they do want to use a HDD, make sure it’s a powered unit, not a ‘portable’ derivative. USB sticks are more than fine though. Hi Paul, really great review. I am a relative newbie to hifi so bear with me. At present I have a Rega Brio 2017, an existing Yamaha WXAD 10 and a Cambridge CXC Cd transport which does not have a DAC built in, my existing DAC has an intermmitant fault. 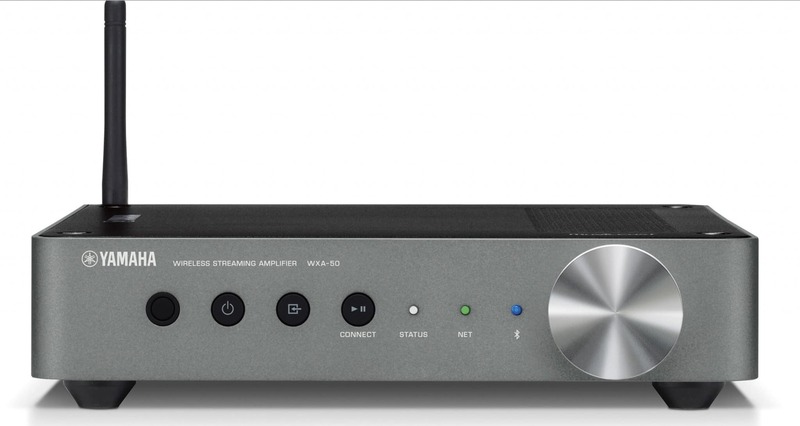 So rather than buying a new DAC my thoughts are to buy the WXC50 preamp then connect the CD with an SPDIF/Toslink optical cable to the WXC50 and utilise the DAC (which I understand is quite decent) within the WXC50, then connect the WXC50 with a pair of interconnects to one set of inputs on the Rega Brio. What should I set the preamp to i.e. player/preamp? Would this degrade the sound from CD player? I would still want to use the WXC50 to stream as normal on the Yamaha Musicast would changing the player/preamp switch mean I would have to change this each time to play CD or use Musicast? I will be moving the existing Yamaha WXAD 10 to a system in a bedroom and why if this does work would make a very worthwhile addition to my setup. No problem Andy. Hope everything works out. I have had a WXC-50 for close to a year. I have had app issues where I had to reconnect but all in all I’m really happy with it. I use it with a Bose Acoustimass 5 2.1 powered system but have ordered a pair of Klipsch R-28PF. Thanks for your insight, Espen. I just got this and it works great. until i tried to use the optical out from my samsung mu8000. it won’t pick up the audio signal at all. help?! It should work fine, Ron. Which unit do you have, by the way? I featured two. Have you selected the right options on your TV, though? If not, check out the Sound area on the Settings. Check the connections – remove and plug in again too. 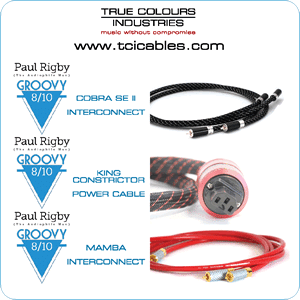 Another tip is to try another cable or try this cable on another product to see if it works ok. All, silly mistakes can happen, so make sure you’ve selected the right input on the Yamaha plus the volume controls. hi Paul, thank you for the detailed review! Similar to one of the commenters above, I’m connecting my Imac to this. Did you check if the usb to usb works? I contacted the yamaha support. and they were saying it’s just usb sticks and not meant for Imacs. It’s a bummer that the new Imacs don’t have the optical out inbuilt in the headphone jack as before. It’s been a little while now – the review memory is fading fast 🙂 I don’t think I did that, I only used the stick option, but I’d take Yamaha’s advice on this one. I’m kind of unhappy with my Yamaha WXC-50 since the higher resolution that it can play through my Macbook Pro via Bluetooth is only 32Bit 44.1Khz!!! There is no way to get a higher (or lower) resolution and by default this is the Audio Quality that it streams. You can check this setting going into Applications – Utilities – Audio Midi configuration. You need to have connected the WXC-50 (or WXA-50 through bluetooth) and on Format it will say in my case “44,100Hz Channel 2 of 32 bit floating) if you select other output you have the chance to configure the Quality, but for the Yamaha’s device is grayed out. Does anybody have experienced the same problem as me? If I can’t stream any higher than 44.1Khz then I just threw my money to the garbage since the main idea was to reproduce DSD files. Hi Figo – if you’re running Bluetooth then Bluetooth itself is the brake on sound quality. And I would be surprised if you’re truly getting 32bit too. More like 16bit. The best sound quality can be had under wired modes. More than that, the very action of streaming your music will degrade sound quality too. Hence, ‘CD Quality’ Bluetooth, the aptX codec…isn’t really. A wired CD output would sound a lot better, for example. Hey Paul, great writeup and review! A quick question, does the WXC-50 output from both Optical and RCA pre-out simultaneously? Im thinking about having a surround system from Optical out, with additional B&O self-powered speakers from RCA pre-out. Pretty sure that would be an either/or thing, Chris because you’d have to select each source to initiate it. The optical would need to come from the powered speakers I reckon, where the amp is. I have been looking at the Yamaha WXA-50 and it seems to be a very capable unit. One thing I am concerned about, however, is it’s actual power output capacity. Certainly all the information seems to suggest that it has a 50w per channel output. Even the Yamaha website states this. However, I made the point of downloading the operating manual and in looking through that the specification talks about the output being 55w with 2 channels being driven into an 8 ohm load. I’d make the point that it does not report the output as being 55w per channel – only 55w. This is different to how Yamaha reports the output in the specifications on other amplifiers such as the R-N602 where the output is reported as 80w + 80w making it quite clear that the power output is 80w per channel. In looking at the actual power consumption that Yamaha report in the specification for the WXA-50 it states it as being 60w. The laws of physics would suggest that the power output of an amplifier can never be more than the power it consumes. This would therefore suggest that the total power out of the WXA-50 is indeed 55w which would make it notionally a 25w per channel unit and not a 55w per channel unit. 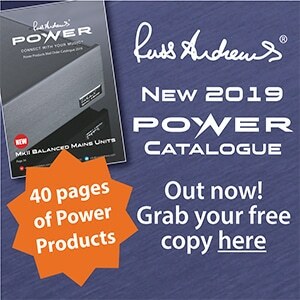 Are you able to find out from Yamaha what the power output really is because if it is actually only a 25w per channel unit I think some of their advertising information and the information given in reviews might be a bit misleading. I’ll ask for you Nigel. Paul, thank you for the great review! Hi PK – let me double check the techie areas with Yamaha (I don’t have the review unit here anymore, you see) and then I’ll lend an opinion after. While I’m waiting for Yamaha to get back to me PK, I’ll give you my take which is this. The Yamahas are ideal for the wide array of facilities they offer, value for money and convenience in terms of control options. The NAD is a one trick pony. The trick it offers is top notch, 2-channel sound done well but…that’s it. If all you want is great 2-channel sound and nothing else, I would choose the right tool for the job and look for a dedicated unit with no added fripperies. There more ‘gear’ you stuff into a single chassis, the more noise it generates and the more performance suffers. Also, each component has been featured ‘to a price’ which reduces the component quality, in relative terms, for each individual item. As I say, though, for what it does and the price it does it for, the Yamaha is a cracking buy. Looking forward to the reply from Yamaha! Ultra Low Jitter PLL (1,2,3) 1 sounds faster/better snap vs 3 sounds warmer. Speaker Type (Compact, Bookshelf, Floor standing, In-ceiling, In-wall) – Please try Floor standing to open up frequency response. I will try those. Although, in Direct Mode the Speaker Type does not seem to have any effect. Anyways, good to know the differences! Thanks again! I would argue that your hi-fi is unbalanced. It’s back to front. The speakers are the most expensive equipment in your chain, then the amp and then the source, it should be the opposite. The amp and speakers deserve a better source and the source is everything in a hi-fi. If you lose information here, you’ll never get it back, no matter the quality of the amp/speakers. I would upgrade to a better source, yes, and you will notice an improvement in sound. If you can, I’d keep the Yamaha and connect it to a second system utilising lower cost components. Give me a shout if you need guidance on that. Thanks Paul much appreciated just a couple more questions. Can you suggest a couple more streamers with Builtin DAC. In the range of Cambridge audio 851N. I also have an old IRDAC can I use the optical output of the wxc50 to connect the irdac will it by-pass the dac on the wxc50 and do you see any benefit in doing that? Hi Homi – if you can save up a bit more then the Moon Neo Mind is very nice. It has no DAC but that’s a ‘good thing’. Separating a DAC from the main chassis reduces noise and improves sonics (which also answers your other point). 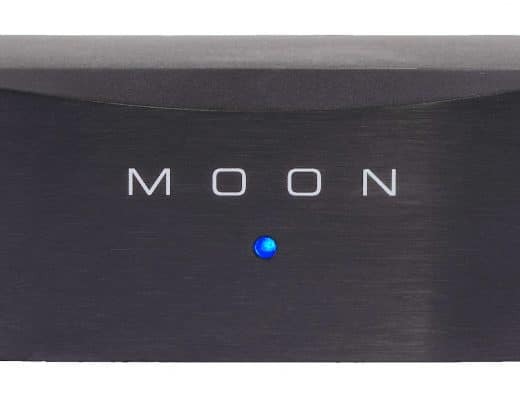 There’s an optical port in the Moon to connect your Arcam. Don’t see a problem connecting the Arcam to the Yamaha – you just need to select it via the source button. The 280 doesn’t have Spotify built in but you can stream Spotify to it via a tablet/laptop/etc, for example. The Mind features built-in Tidal, Deezer, Qobuz & TuneIn. 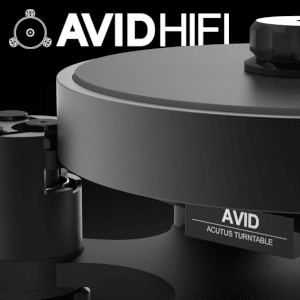 Hi Homi – I’m not privy to all of the variables of your hifi so cannot offer a definitive guide but, in general terms, your dealer could be right. It’s often the case when upgrading that a top quality piece of kit will highlight the bottlenecks in the rest of your system. This has happened to me many times. That said, it’s always best to begin any upgrade sequence with the source so, in digital terms, you’re on the right path. After the source (your DAC) would be the amplifier. The A39 is a big and bold amp and lots of fun but it’s not the most incisive in terms of detail and this is what you might possibly be experiencing. IF you wish to upgrade then give me a budget figure and I’ll provide a few suggestions. You might not be aware but I am based in New Zealand and our choice for brand might be a bit restricted I guess my budget would be roughly £2500 your suggestions would be highly appreciated. Hi Homi – thanks for your kind words and no, I wasn’t aware that you were based in New Zealand but I hope that you can access this hardware. 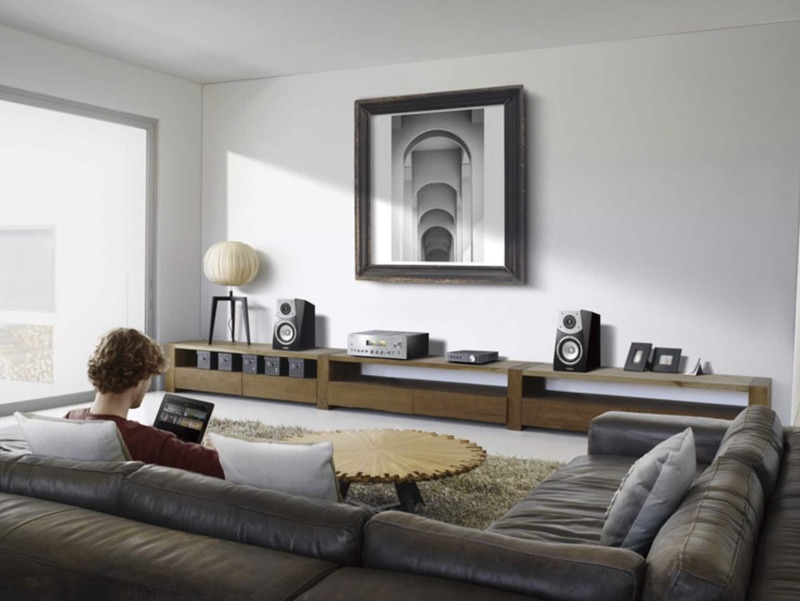 An ideal amplifier for that budget would be a Parasound Halo: https://theaudiophileman.com/halo/ which offers a great blend of sound quality and features. The Roksan Blak is nice as is the Moon 240i and the Leema Elements pre/power boxes. Hi Paul, sorry can’t find a Roksan Blak they have a K3 no Leema as well. Close call, Homi. I’d go for the MA5200 but the Moon is a close second. I have Dali Helicon 800 and Vincent SV238MK. I need good dac. Yamaha WXC-50 or Cambridge Audio DacMagic Plus will be better for me? Cambridge CXN V2 have same dac. I wan’t to spend more 1000 eu. I can use Tidal or dlna with my Samsung qe65q7fn. Hi Vitalijus – thanks for your question. 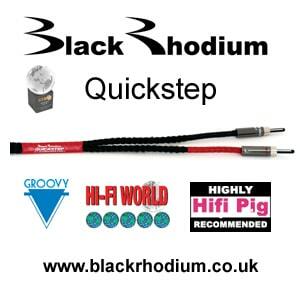 Considering the hi-fi chain you have then I actually would recommend a higher spec DAC than any of the above. If you’re limited by budget, though then the CXN V2 would be my choice. 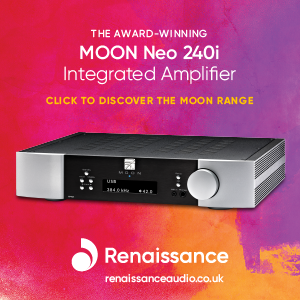 Than I heard the Neo Moon 240i with the same setup in both the systems I was missing the wow factor. also in the same shop swapped the Prima Luna with a Rega Elicit -R the sound was good. Next I went to another shop and heard the Naim Nova connected to the Focal Kanta No 2 and I was blown away. Ideally, you should maintain a level playing field. That is, if you’re looking to buy an amp, for example, then keep everything else the same and only demo a range of amps at a similar price point. Otherwise you’re confused as to what is actually making the sonic difference. If you change every hi-fi component all of the time then, as you say, you’re never sure what box is having the right or wrong effect. I would only pay money in this situation if you’re absolutely sure and confidant in your choice. More than that, there’s the shop itself with can also have an effect. Move from shop to shop and you’re changing an important part of the sound, the room itself. I would select a favourite dealer with a good listening room, stick with that outfit’s stock of hifi, have them build a review system and swop in/out only one genre/type of component at a time during your listening, make a decision on that but take your time doing it and use music that you’re familiar with – bring your own. Pioneer N-50AE/70AE, Oppo Sonica DAC, Marantz NA8005, Cambridge CXN V2, with one better? Maybe u know much better DAC? I would still go for the Cambridge, Vitalijus. Thanks for your question, Cristian – what’s your budget? I have a Marantz TT42P (preamp) which I plan to pair to a set of B&O BeoLab17s through the WCX50. Is there capacity for me to earth the turntable to this amp? 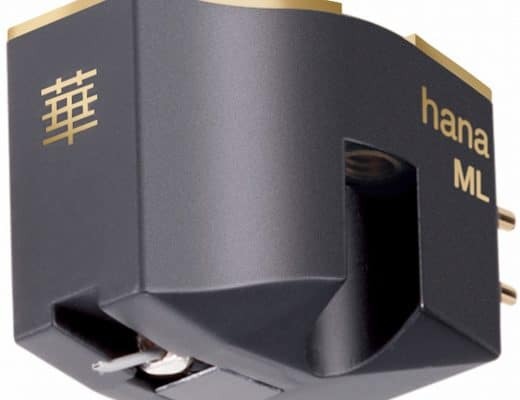 Hi Mark – I’m fairly sure that the Marantz is internally earthed, as most decks with built-in phono ams are, so that shouldn’t be an issue with that model. Apart from that there’s there Cambridge Azur 851N, Moon Neo MiND (a bit over your budget), Cyrus Streamer while the Opera Consonance Reference DSD1.1 DAC features Bluetooth. im thinking of getting the Yamaha wxa 50 to replace my Linn intek amplifier which has an intermittent fault. I did initially want the Onkyo TX 8250 but the size is putting me off a little (149mm in Depth). So will the small Yamaha fulfil my needs to power the Linn CD (IKEMI) with Linn speakers. May I ask, Paul – what’s your budget on this purchase? Is there an upper limit? What’s your priorities? Sound quality? Particular features or facilities? Hi budget is around £300-400 , priority is sound quality, I was initially just going to get an amp but thought the amp/receiver option might be better. Thanks for the replies, I think I’ll be getting the Yamaha at the weekend. No problem, Paul – I hope you enjoy it. 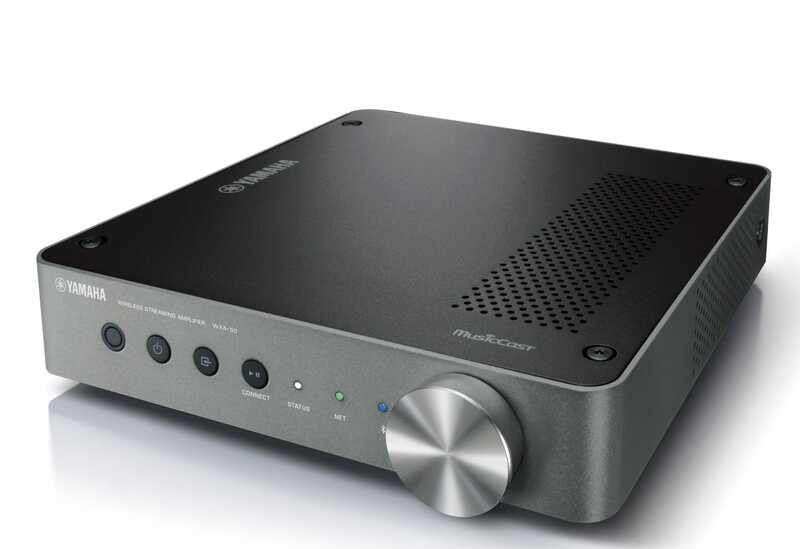 Your review made me think about getting this pre amp when I was in search of a DAC just with an optical input to get the tv in mainly for youtube and Netflix. 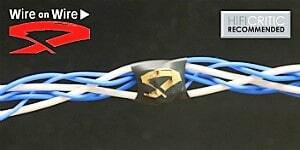 BT and streamer options were spot on as well. So a whole new world of music opened. Thorens TD 160 , pc, deck , marantz 63 kiss etch. Now i have no use for the rotel which was used mainly for the phono stage and the remote.. This has become very frustrating, 90% of my 6TB collection is in flac form.. i am thinking about getting a NAS to address this problem but I am not sure if this will solve anything. .
Also what do I need to setup a second zone ? I mean with amp and speakers already in place ( the bedroom,) some music cast device, but not a wireless speaker..
Hi Akis – let me ask Yamaha about this one. Be back ASAP. Hey, thanks for the answer ! Windows Media player 12 acts as a library. That should be enough, right ? I can play all the files natively on the PC..
Also, some things like dimmer and the jitter cannot be adjusted, stays always on level 1. I tried to uninstall the app with no luck. And WXAD-10 it is then ! A quick addition from Yamaha for you, “Windows Media player 12 should work. Does copying a FLAC file onto USB stick, then playing from the USB input on the WXC-50 work? What input is being used when Dimmer & Jitter not selectable? Can we check the product is running ver. 2.60 firmware. The flac files have no problem being played on the USB. That’s a start 🙂 And excellent sound indeed. Firmware version up to date . So it’s a software thing most probably on the PC, how can this be fixed? All codes have been downloaded. The library showing in the app is not even a third of what is inside. Also, same thing happens if I try to access the Ubuntu laptop on mini DLNA. Shows the first folder in the app but absolutely no music after that.. I am planning to get a network player to stream and play from a NAS, with a possible extension to other rooms. The amp is a Marantz PM6006. The Yamaha WXC-50 seems a very attractive option, although I probably wouldn’t make much use of its preamp features. I was wondering if the smaller WXAD-10 streamer is too much of a downgrade in sound quality? Do you know how the two compare? Should I still go for the WCX-50? Or maybe can you suggest an alternative? I was also looking at the Arcam rPlay, although the PlayFI app seems less user friendly than the MusicCast platform. Budgetwise, I’d stay in this range. Thanks for any comments or suggestions you might have. If streaming is the priority, Samu, then I would buy a specialist box like the rPlay which will offer high quality sound output alongside your Marantz. Thank you for the advice, I’ll check the rPlay then! Trying to simplify (& minimise footprint in a cupboard) my hifi while moving away from a home cinema setup…. Would the WXC-50 be a good pairing with a compact power amp (like the Edge A2 you reviewed) to drive a pair of MA silver floorstanders? I will also be feeding in audio from my beloved old Thorens TD150 via a phono pre-amp and like the idea of streaming this to my dining room as well! Worried the R-n602 or the WXA-50 may be a bit budget / not good enough sound??? You don’t mention that all important word ‘cash’ so I’m not sure if you’re looking for a low cost work-around or whether you have a budget to utilise here Neil. 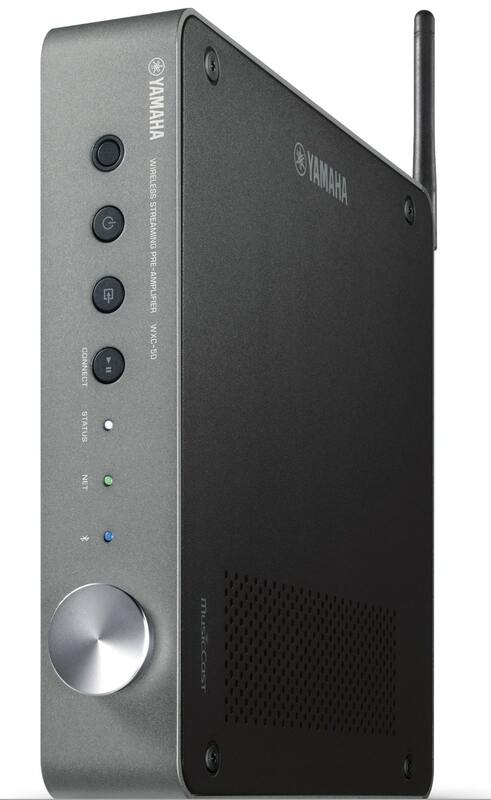 The Yamaha is a great way to pack in lots of features but I wouldn’t use it as a specialist pre-amp to drive something of the quality of an Edge power amp. I’d go for something a mite more specialist for that area. Do you have a budget figure at all? Again, if sonics are a priority, I would buy a specialist streamer box and then plug that into a pre-amp. Convenience is a big decider – I was thinking of using the WXC-50 + auto-on power amp / 12v trigger to do everything from my phone, as well as add in an additional WXA-50 to power some smaller speakers in another room, hence the drift towards the musicast ecosystem….I tend to listen to vinyl / spotify roughly 50/50. Hi Neil – yep, if a convenience/lifestyle thing is what you’re after then go for the Yamaha. The company also has plenty of other components that you can also buy that will plug into the system as a whole. Hi Paul, thanks for your review! Could you please help me with this question: Can I use the WXC-50 to output to multiple systems. My use case is the following: I have 3 sources coming into to my pre-amp (TV, Network, AUX), and I’d like to be able to output to my active speakers (Nubert Nupro 500) via optical AND to my headphone-amp (Shiit Magni 2) via RCA. Basically, if blasting music via speakers is no option (late night etc) I want to switch to my headphones on my Shiit. Thanks for the question, Calvin – so what’s your set-up, you have the Yamaha, Schiit and speakers. Anything else?